Sasha is a Vancouver and Toronto based writer, performer and producer. She works mostly in theatre. A graduate of the Acting Conservatory at York University, Sasha has trained and worked with over a dozen award-winning theatre companies. She co-runs the artist driven production company the blood projects (www.bloodprojects.com) and co-creates the ongoing, web, pocket-sized writing project these five minutes (www.thesefiveminutes.com). She is one half of the sassy clown duo Rosie and LouLou. (To see the short film "Rosie and LouLou: Quest for Love" scroll to the bottom of the page). Sasha was a member of the first Soulpepper Playwright's Circle. 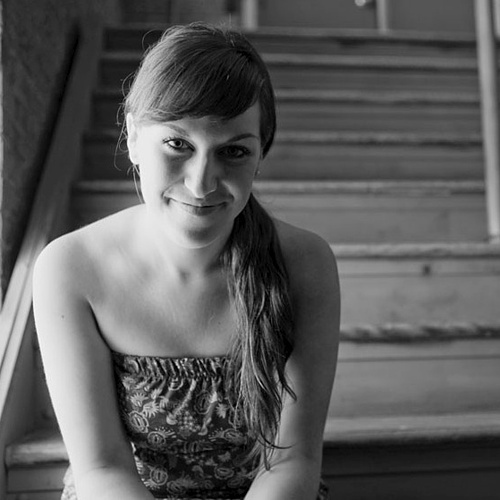 An MFA candidate in Playwrighting at UBC, she has a serious crush on the mountains.